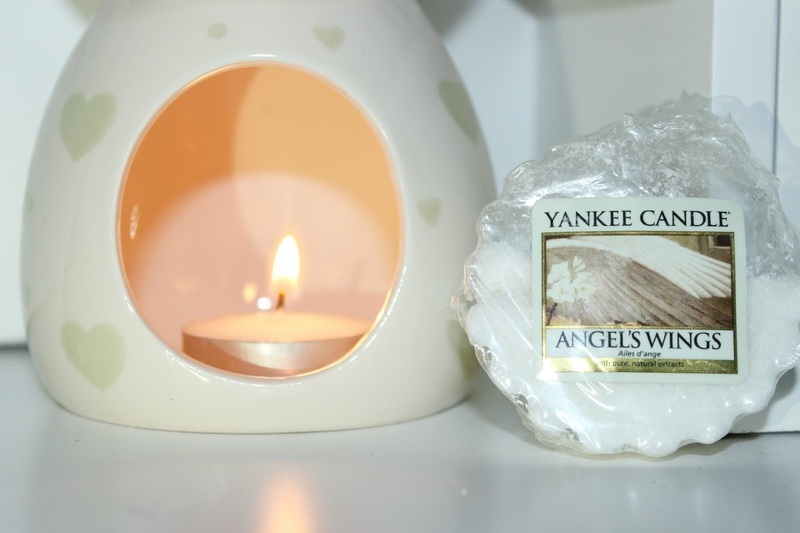 There was something about this Yankee Candle when I read the name 'Angel's Wings' that instantly made me think of my Auntie Debbie, as soon as I saw the tart I knew for a fact that she would of picked it up or bought this in jar form, it's so her. She was a magpie when it came to anything that had fairies or angels on it. So it just had to go in the basket. This candle brings you peace, happy thoughts and lets you unwind whilst thinking about your favourite loved ones that are sadly no longer with us other than in spirit. I couldn't wait to light this one, it wasn't just the scent that I wanted to get a whiff of, but I wanted to have a night to unwind and de-stress and let all my sad thoughts I'd been having lately turn into positive memories. When lighting this candle I let my mind take me away and I had a lovely night thinking about my favourite memories with my family and friends that are missed so deeply. 'Spirits rise on this beautiful airy aroma of joyfully sweet spun sugar, heavenly sheer flower petals and divinely smooth vanilla'. 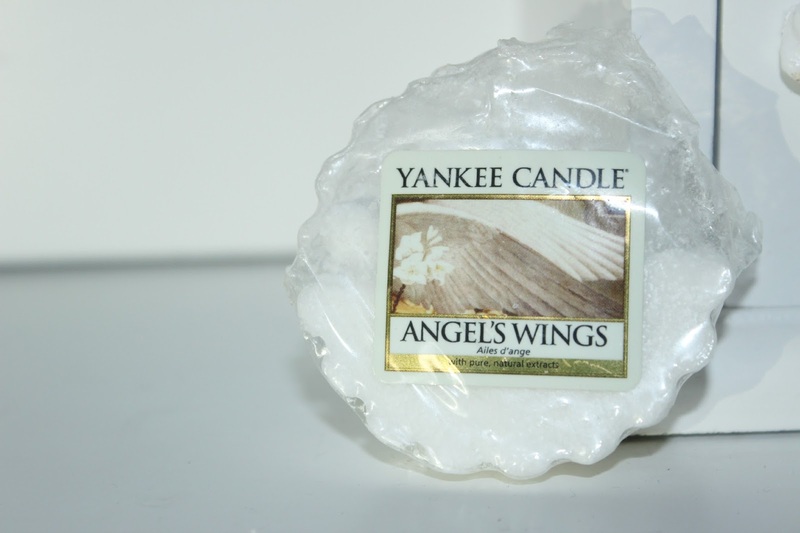 - Yankee Candle. I found the scent was a little strong/sickly the first night I used it, but I continued to use it and the tart smelt absolutely gorgeous the next few nights that I had lit it. You could definitely smell the vanilla coming through, more to the end of using this one up, eventually leaving my room smelling like buns! yum yum. Have you tried this one before? What is your favourite Yankee Candle so far this year? 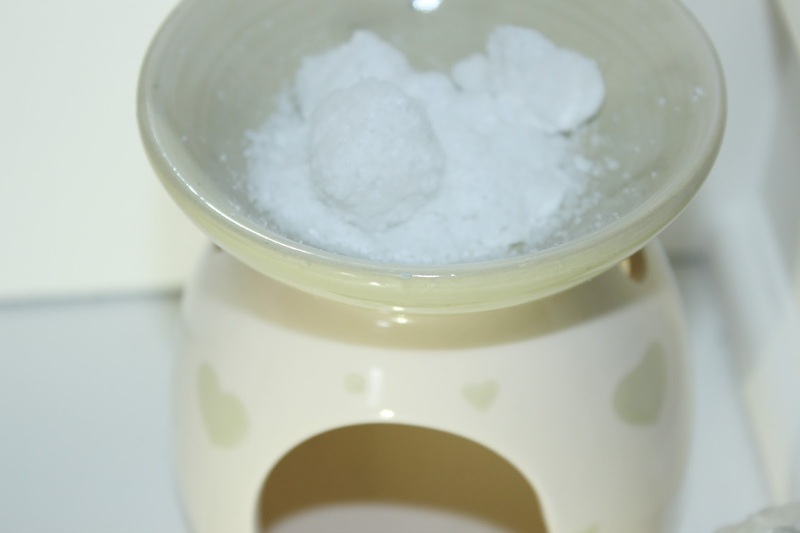 I love snowflake cookie at the moment but it can be a little sickly if you burn it for too long, I'm looking for a more useable alternative so I might have to have a look at angel wings. yeah i really don't like the smell of that one... it made me gip haha!